Cast your Circle in the usual manner remembering to call on the four Quarters for protection. 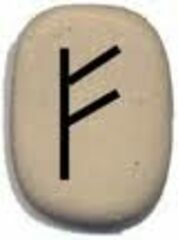 Take the green candle and carve the rune Fehu into it. I am loved and cherished, good enough as I am. 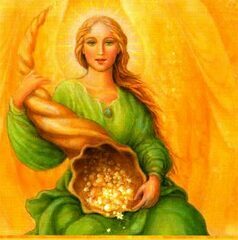 The Goddess and God love me and will provide for me. All is well in my world. Meditate for a while envisioning what you want your life to look like.